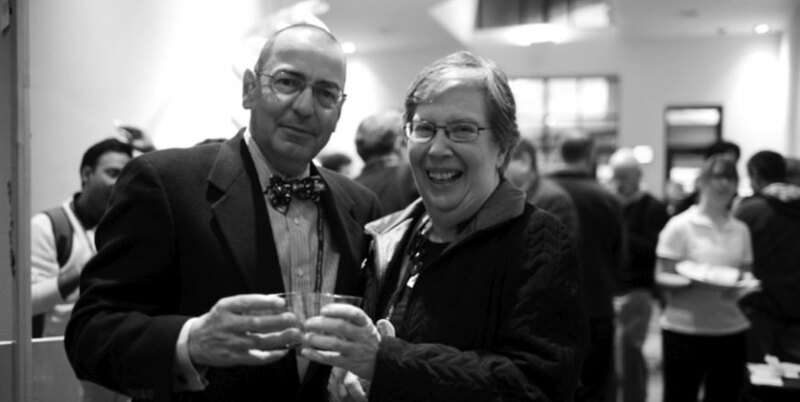 Helen and Stephen during the dedication ceremony of Synergy on September 26th 2013. This past July, Dr. Stephen K. Burley became the Director of the RCSB Protein Data Bank organization. Burley is an internationally recognized physician-scientist, and an authority on structural biology, drug discovery, clinical medicine, and oncology with considerable experience in both academe and industry. This leadership transition was made with the approval of our federal funding agencies and in consultation with our host academic institutions, Rutgers, The State University of New Jersey and the University of California, San Diego. Burley joined Rutgers in January 2013 to become Director of the Center for Integrative Proteomics Research, Director of the BioMaPS Institute for Quantitative Biology, a Distinguished Professor of Chemistry and Chemical Biology, and a Member of the Cancer Institute of New Jersey. He led RCSB PDB outreach efforts as an Associate Director, and assumed leadership of the RCSB PDB team at UCSD earlier this year when Phil Bourne became Associate Director for Data Science at the National Institutes of Health. Dr. Helen M. Berman has led the RCSB PDB since 1998, and will continue her more than four-decade involvement with the Protein Data Bank (PDB) in her new role as Associate Director. Her focus will be on External Partnerships and activities related to hybrid or integrative structure determination methods. Berman, a Board of Governors Professor of Chemistry and Chemical Biology at Rutgers, will also continue her leadership roles in the Nucleic Acid Database, the Structural Biology Knowledgebase, and the EMDataBank. Berman and Burley are committed to an orderly transition to ensure our users uninterrupted access to high quality services providing a structural view of biology. 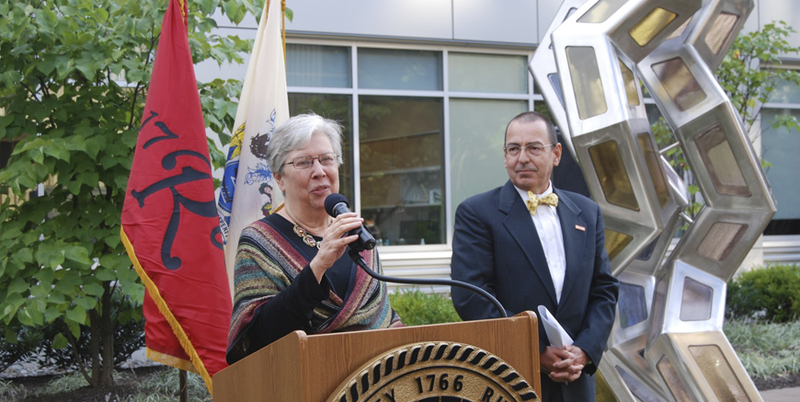 In September 2013, the sculpture Synergy traveled from Portland, Oregon to the Center for Integrative Proteomics Research at Rutgers, The State University of New Jersey. Created by sculptor Julian Voss-Andreae, this 20-foot, 3,200-pound polished stainless steel and colored glass creation is based on the triple-helical structure of collagen. The most abundant protein in humans, collagen forms long molecular ropes that provide tensile strength to our tendons and bones, and make up vast, resilient molecular sheets that support the skin and internal organs. Collagen also serves as a pathway for cellular movement during development and growth. The first atomic resolution structure of the collagen triple-helix was determined in Helen Berman's laboratory in 1994 and made available in the PDB. Since installation, this sculpture has helped set the stage for many events hosted by the RCSB PDB. We look forward to celebrating with it for years to come. Watch the interview with Julian Voss-Andreae recorded immediately after installation of the sculpture last year.